Tomáš is a PhD student at Palacký University in Olomouc. During his studies, Tomáš have attended numerous workshops, conferences and contributes to international cooperation and projects. His focus is mainly airborne thermography, Sentinel data exploitation and thematically urban environment and agriculture. In year 2016, Tomáš and his team won second place in european Farming by Satellite prize. 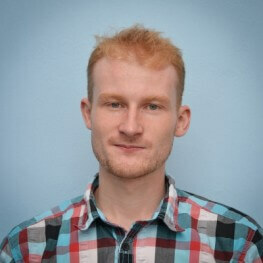 Tomáš is here to help with the application part in between programming and topic.